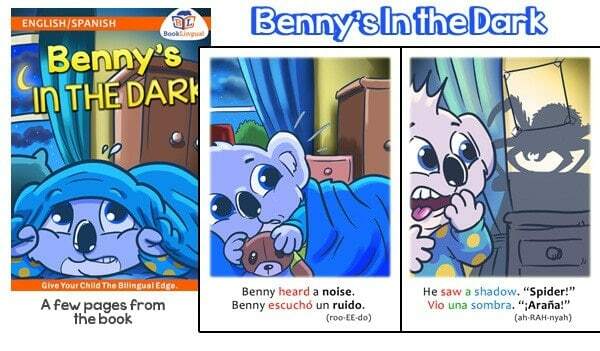 Bilingual Benny is not your average 7 year old Koala. (if you even know any). He is set on annoying his sister, doing things he’s told not to, and even going on unruly adventures. Oh, and he is bilingual, which seems normal to him, but his friends think it is cool. 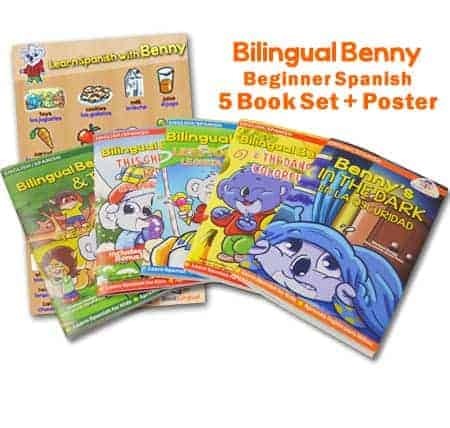 Kids age 2-7 will love reading about Bilingual Benny’s misadventures. But even better, they will be learning Spanish along the way. 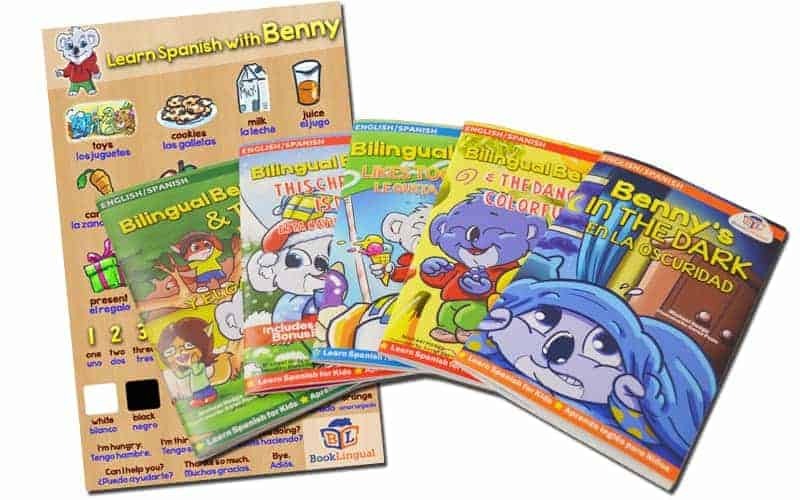 All Bilingual Benny books are written in English and Spanish, in a simple and easy to understand format. 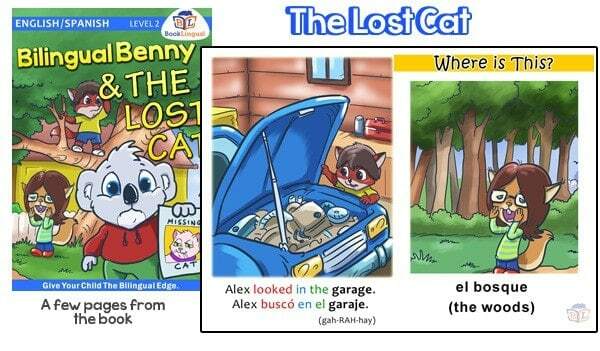 Bilingual Benny is back…but this time, with his best friends Alex & Christine! Christine has lost her precious cat Fuzztine. Can her friends help her save the lovely-fuzzy pet which she misses dearly? 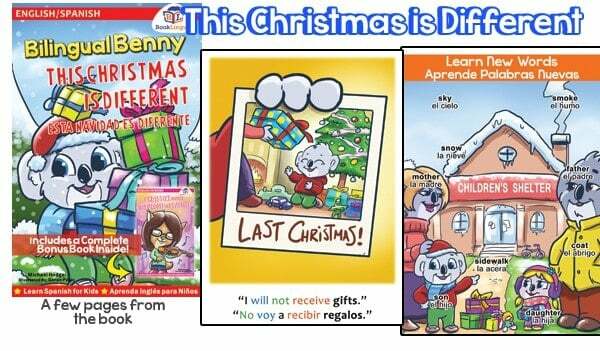 Before, Christmas was all about Benny. Gifts, sweets, a full stocking, and a lot of attention from his family. This year it’s different. Benny’s parents take him and his little sis to give gifts to others. How does Benny and Monica feel about not getting any gifts this year? The normally fearless, adventuresome Benny is afraid of something he can’t see! Find out what makes him jump out of bed, get ready to fight, and what makes him cry for his mommy. 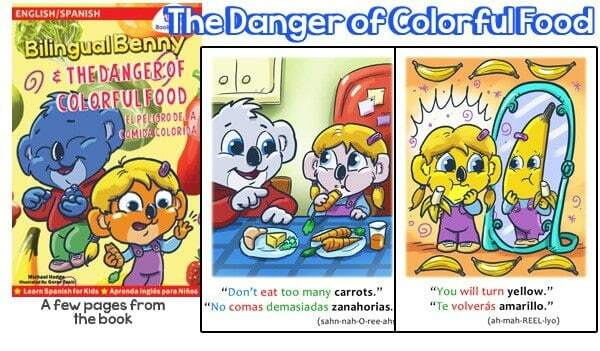 Benny teaches his little sis all about how DANGEROUS fruits and vegetables can be…what happens if you eat too many bananas? What about too many carrots? A hilarious short story for kids, which is parent-approved and useful. 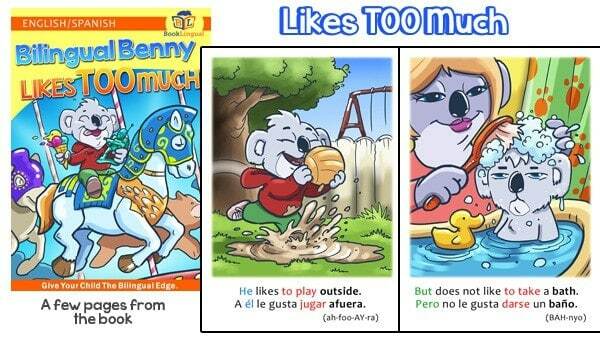 Benny seems to like too much! Follow along as Benny learns how a lot of good things also have a downside. What happens when he gets fed up with his chores?